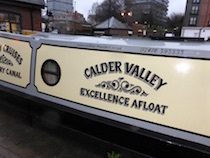 Design : Calder Valley is a sister boat to Thames Valley & Dove Valley and is a luxury 58 foot long, 4 to 6 berth semi traditional stern ideal for 2 couples or a family with easy to use controls. 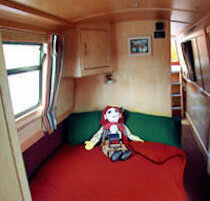 Features : There is full central heating on the boat. A water tank provides the hot and cold running water. Removable front canopy over front cockpit. Kitchen : The Kitchen is fully equipped with full sized 4 burner gas cooker, grill and oven , 4 cubic foot Refrigerator, sink and drainer, saucepans, cooking utensils, crockery and cutlery for the number of berths. There is plenty of storage space, and work surfaces. Also supplied is a kettle. Bedding : Freshly laundered bedding and duvets are provided for each crew member, towels are provided for overseas visitors ony. 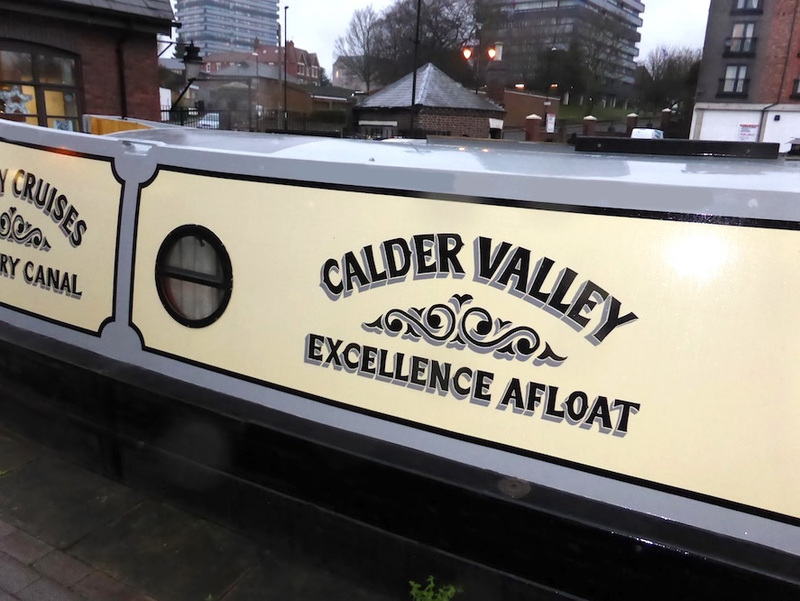 Bathroom : Calder Valley has a bathroom with full size shower and toilet and wash hand basin and separate ensuite toilet, and hot and cold water to sink and showers, fresh water flushing toilet , towels provided for overseas visitors only. 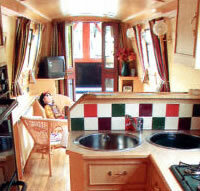 its family bathroom is next door to the private cabin, plus second bathroom next to the central cabin. Welcome Pack : A welcome pack is provided including fresh flowers and wine, biscuits/teas & coffees and a bathroom pamper pack and scourer and washing up cloths for the kitchen. Additional Information: Tuition, car parking and buoyancy aids are provided free of charge.